Two Products To Meet Your Needs! 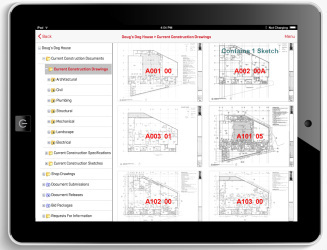 Create Your construction projects in the Cloud, Access them On your Tablet! 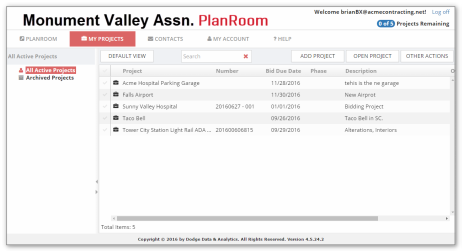 PlanRoom allows you to create your own projects and upload ALL of your documents: Plans, Specifications, Photos, CAD, BIM, Any File! You can then invite other users to access the information by sending them email notifications. It couldn't be easier to create, manage and distribute every document on all of your projects. PlanRoom allows you to access projects created by PlanRoom or projects that were shared with you by other PlanRoom users, or News Services such as Dodge Global Network. This system is connected to a global network of projects that you can access simply by connecting. PlanRoom Mobile Pro makes it easy to always have the current information at your fingertips. PlanRoom Mobile will support Ipad, Android and Windows tablets and phones. PlanRoom Mobile is included in your subscription to PlanRoom.